This contemporary ring has recently become one of our most popular styles! The center stone is a 1.03 carat diamond with SI1 clarity and E color, described on a certificate from GIA. 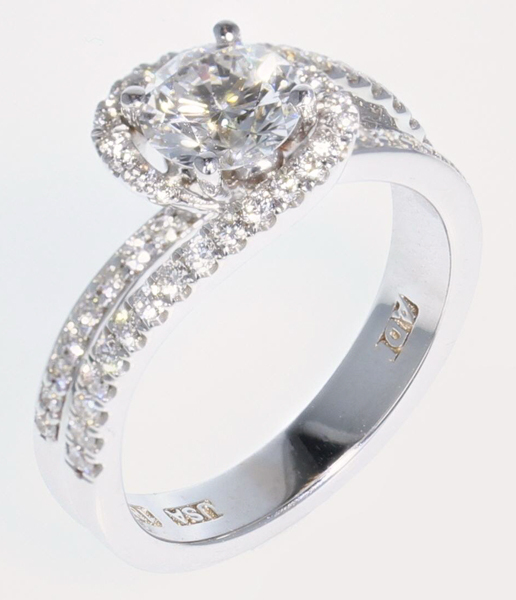 The ring is accented with a total of 0.50 carats of smaller diamonds with VS clarity and G-H color.